Well, who doesn’t know Pammi Aunty today? 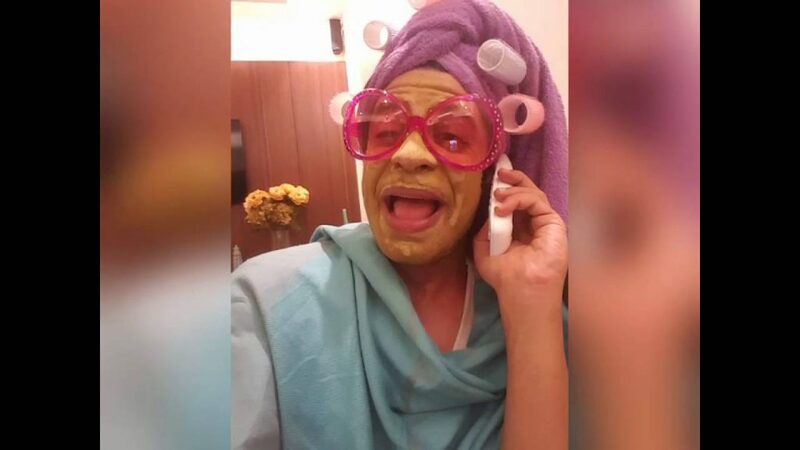 The middle aged woman with green mask on her face, a towel wrapped around her head weirdly enough hair rollers stuck on top of that and gigantic pink coloured glasses rested on her nose, always busy gossiping with her “Sarla Bhenji” – Yes, that’s our Pammi Aunty. Pammi Aunty has given us belly curls, rolling on the floor laughing with her wit, but little do we appreciate the satire behind the humour; little do we appreciate the sadness that once rested on the face making us laugh now; little do we care about the story behind that masked lady. 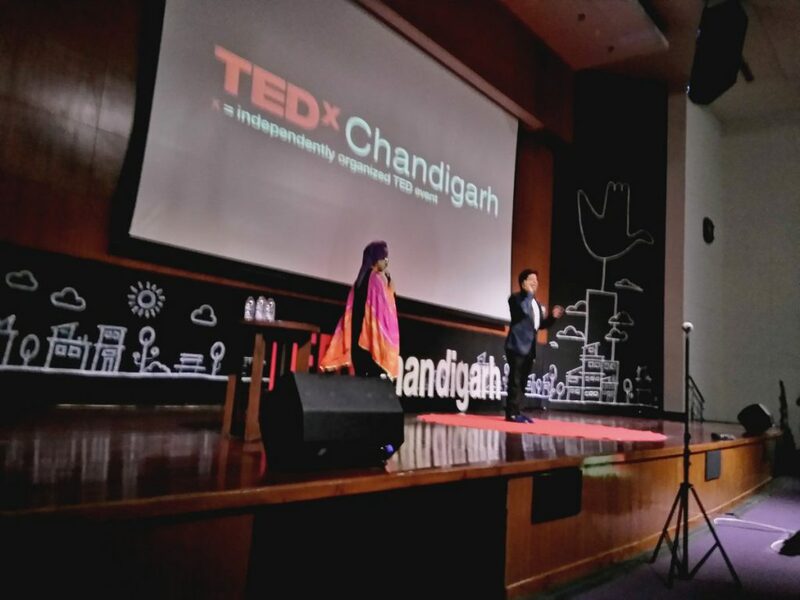 Well, that mask fell off at TEDx Chandigarh when Ssumier S Pasricha, the man behind Pammi Aunty came to the prestigious TEDx stage to share his story. His was one of the most awaited TEDx talk of the day, for the reason attendees were looking forward to laugh in person with the man who spread happiness through his videos and surely, they were not disappointed. Wait, is she even a real Pammi Aunty? O yes! That did receive the hell of laughter and applaud. What happened next was completely unexpected? None could imagine the sadness, discontent and unhappiness behind the face that ultimately turned into Pammi Aunty. His story is no different from any boy born in Indian family, who is born with the burden of his shoulders to fulfill his parents unfulfilled dreams and aspirations, who is expected to hold the reins of family business and if he dares to think or dream otherwise, how cruelly he is looked down upon, taunted and ridiculed. Happiness is when what you say, what you think and what you do are in harmony. Did happiness reside in Ssumier? I’m a Proud Black Sheep. ‘Believe in yourself’ – that’s what drove Ssumier to accept what he is, gave him the courage to renounce the norms of society, made his family see him proudly and turned the whole world head over heels with his ‘Pammi Aunty’ to what he fondly calls “Aunty-depressant”. P.S. 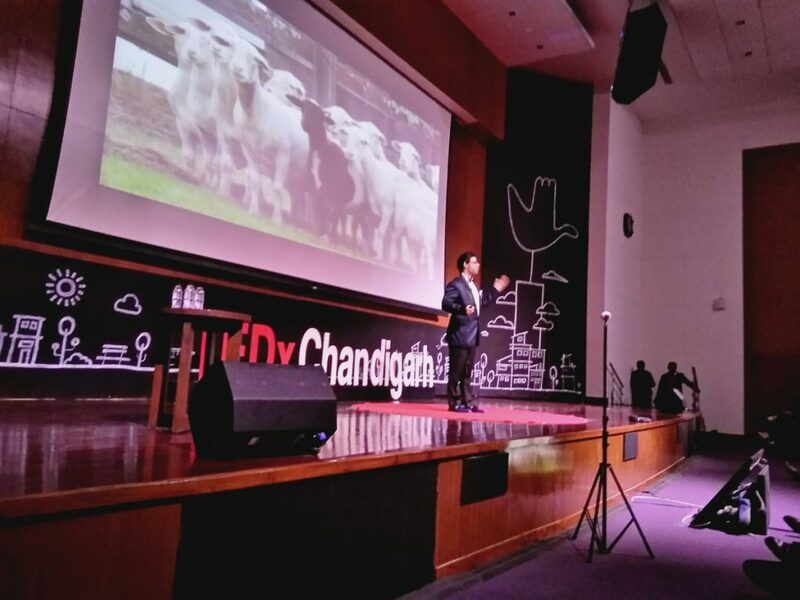 How badly I do wish to share the video of Ssumier’s TEDx Chandigarh talk, but I really cannot. 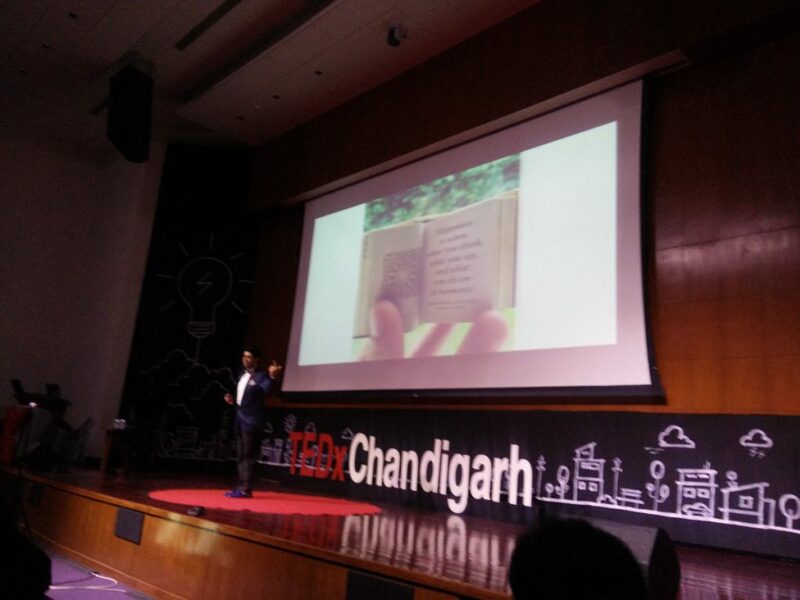 As per the TED rules, nobody is allowed to share it but TEDx Chandigarh. 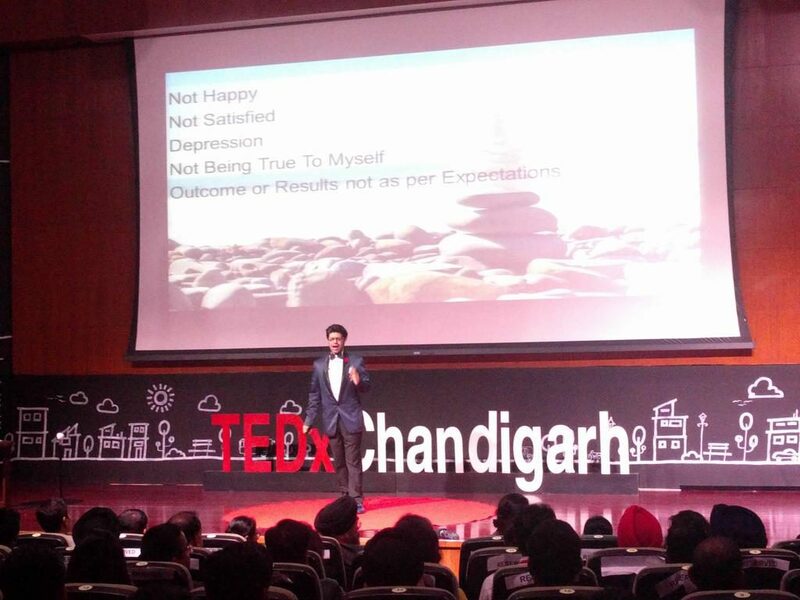 Once they officially release it, ChandigarhX will bring it to you for sure.